Description: Students learn how Clara Barton [1821-1912] broke boundaries as a woman, pioneer, and innovator during American Red Cross relief efforts. Students learn how Clara Barton prepared for disasters and developed emergency kits and how she used the latest technology in her Red Cross work. Lesson One, Breaking Boundaries: Students examine how Clara Barton broke boundaries, was a role model, as well as her contributions to the nation and the world. Activity 1, Angel of the Battlefield Students role play news reporters and write eyewitness articles on the Civil War, and create illustrated and annotated comic strips about Clara Barton’s Civil War battlefield work. Activity 2, Clara Barton and Her Work Student write memoranda about helping someone and create a self-portrait. Activity 1, Students examine the impact and devastation of the Johnstown Flood, PA of 1889. Activity 2, Students explore emergency preparedness needs and develop an emergency kit. Students compare and contrast the technology of Clara Barton’s time to technology used today. How did Clara Barton break boundaries and what were her contributions to the world? What is needed to survive and recover from a disaster? How did Clara Barton use technology? Activity #3 - How to be Prepared? Activity #2-Create an Emergency Kit? Standard 4C: Student understands historic figures who have exemplified values and principles of American democracy. NSS-USH.K-4.1 Living and working together in families and communities, now and long ago. +Understands the history of the local community and how communities in North America varied long ago. How is the world divided into nations? How do nations interact with one another? Students develop positive attitudes toward technology uses that support lifelong learning, collaboration, personal pursuits and productivity. Students will understand the role of women in Clara Barton’s time. Students will learn about Clara Barton’s life and legacy and how she broke boundaries. Students will learn how the American Red Cross and Clara Barton provided relief to victims of the Johnstown Flood. Students will learn about disaster preparedness and what they can do to prepare for emergencies. Students will compare and contrast technology used in Clara Barton’s time with modern technology. Clara Barton [1821-1912], founder of the American Red Cross, lived at Glen Echo for the last 15 years of her life. Born in Oxford, Massachusetts, Clara, a shy child, was the youngest of six children. To help overcome her shyness, her mother encouraged Clara to become a teacher. While visiting friends, she recognized the need for a public school in Bordentown, NJ, and started a school there. Although she was the school's founder, she was bypassed for the position of principal because she was a woman. Barton later worked in the U.S. Patent Office in Washington, D.C.
During the Civil War, Clara Barton saw many soldiers coming through DC, some wounded and others in need of supplies. She began collecting goods and supplies to give to the soldiers. Barton realized that to provide real support or services, she needed to be closer to the battlefield. As a woman, this was not an easy task. Through persistence, she was eventually allowed at the front. Barton helped all in need, irrespective of what side they fought on. After the war, Clara Barton organized a search for missing soldiers and worked to reconnect families with loved ones and to provide closure for families who had lost loved ones. Ms. Barton’s doctors recommended a much-needed rest, a holiday in Europe. Not used to being idle, she soon found a new cause. Barton learned of the International Red Cross, a neutral European organization that helped the sick and wounded during wartime. On her return to the U.S., she presented the idea of starting a Red Cross in America to the U.S. Government. Having just fought a war, and key American officials did not think another war was likely soon. There was also no interest in supporting an organization for victims of war. Barton amended her plan to include victims of famine and natural disasters. In spite of minimal support, she established and became the first president of the American Red Cross in 1881. Barton was drawn to Glen Echo, MD by Edward and Edwin Baltzley. The building she adapted functioned as her home, as well as a warehouse and national headquarters for the American Red Cross. Barton sent teams of volunteer aid workers to disaster sites and often accompanied them. The teams had supplies and a desire to help. Ms. Barton said, "Visit the worst places, stay long enough to learn the real needs, and supply them... 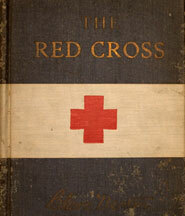 This is the original style and spirit of real Red Cross work." She remained the president of the American Red Cross until her retirement 1904. After leaving the American Red Cross, Barton established the National First Aid Association of America and served as its honorary president for five years. The organization emphasized basic first aid instruction, emergency preparedness, and the development of first aid kits. Barton was unlike most other women of her time. Before the Civil War, men were prominent in the public sphere. Many women stayed home, raised their children and took care of the family. She used what was thought of as a female trait, that of caregiver, combined with determination and drive, to establish an American organization that cared for the nation’s wounded soldiers during times of crisis. Barton took woman’s work into the male-dominated public realm. Despite obstacles, she left a legacy that continues to touches many people’s lives throughout the U.S. In her lifetime of service, she was honored by world leaders, and revered by rich and poor. The Johnstown Flood of 1889 in Pennsylvannia claimed over 2,200 lives. The poorly maintained and weakened South Fork earthen dam collapsed and released a “wall of water” that rolled through the Conemaugh Valley reaching speeds of 40 mph and heights of 75 feet. Communities along the flood path were wiped out. Johnstown, with 30,000 inhabitants, was inundated in 10 minutes. In less than an hour after the dam gave way, entire families were lost and tens of thousands were left homeless. Lower areas of the city were covered by over 20 feet of standing water polluted by debris from 14 miles of countryside and remnants of local settlements. The American Red Cross arrived in Johnstown soon after the dam collapse. Barton directed the establishment of shelters; distribution of clothing, food, and medical supplies; and organized local relief committees. The Red Cross constructed a warehouse, three shelters, and an infirmary complex, and assisted with the city's rebuilding efforts. After five months, at the close of the Red Cross operations, these buildings were dismantled. Some lumber was sent to Washington, D.C. where Barton intended to build the Red Cross Headquarters. It took five years to rebuild much of Johnstown. Johnstown recovery efforts increased awareness of the American Red Cross' contributions and capabilities. Barton wrote in Red Cross in Peace and War, “Without a safe, and with a dry goods box for a desk, we conducted financial affairs in money and material to the extent of nearly half a million dollars. The record on our books showed that over twenty-five thousand persons had been directly served by us. They had received our help independently and without begging. No child has learned to beg at the doors of the Red Cross.” For more information: https://www.nps.gov/jofl/. Clara Barton used the latest technology to be more efficient and productive. In her American Red Cross office she used new tools including a graphophone, telephone, typewriters, letterpresses, etc. She commuted to Washington, DC from Glen Echo, MD, on the trolley and her life was well-documented by photographs, another popular technological innovation of the day. Bedridden: confined to bed because of illness, injury, etc. International Red Cross: Established 1864, a neutral and independent organization whose mission is to protect the lives and dignity of victims of war and internal violence, and to provide assistance. It directs and coordinates international relief activities in situations of conflict. It promotes and strengthens humanitarian law and universal humanitarian principles. U.S. Patent Office: The United States Patent and Trademark Office is an agency in the United States Department of Commerce that issues patents to inventors and businesses for their inventions and trademark registration for product and intellectual property. Relief Effort: effort to help others in need who may have been affected by a fire, flood, hurricane, disease, war, etc. Activity #1 - Students analyze the Civil War News card; write news articles as reporters based on their eyewitness observations of Clara Barton’s Civil War battlefield work; create illustrated comic strips about Barton’s work during the Civil War with captions using attached blank newspaper sheet and comic strip. This Civil War News souvenir card is dated December 25, 1863, (Clara Barton’s 42nd birthday). The front highlights Barton’s heroic actions on the battlefield and includes an illustration of a battle scene. A Red Cross flag is in the background, although it wasn’t until 16 years after the Civil War that she founded the American Red Cross. In 1965, Topps reproduced the Civil War News card series that contained 88 cards and 17 reproduction Confederate bills. Each card has a color image with caption of a battle or historical event. The back of the card gray with a red-brown border; the card number is located in this border at the bottom corner on the right side. The text is arranged in newspaper fashion. A piece of facsimile Confederate currency was folded into every pack. There was a one-cent and a five-cent pack. The U. S. Civil War Centennial Celebration was still being commemorated in 1962 when Topps produced the Civil War card set. It is known as Civil War News because of the "newspaper-like journal" columns on the reverse. The cards were graphic, bloody, and sold well. Activity: #2 - Students read the Clara Barton and Her Work Pampflet and develop short summaries of each category. Students write a two page article or memorandum describing how they helped someone, or an event that they observed. Students write their own journal entries, describe volunteer work and helping someone including, family, neighbors, pets, school, friends, or any community groups? Students create their own cover portrait. Activity #3 – Students do a "How to Read an Object" chart on the First Aid Kit and compare and contrast Ms. Barton's kit with emergency kits today. Students create a poster board with the theme “Helping Others Prepare for Emergencies.” Students cut out pictures out of old catalogs, magazines, and newspapers or browse the Internet for photographs of supply items needed during an emergency. Students will attach their photographs to the poster board. In 1903, Clara Barton published the following statement: “We are actively organizing a new branch of the Red Cross, to be known as ‘The First Aid Department’ of the American National Red Cross, which department will be largely educational and will concern itself in instructing the people everywhere throughout the United States in the best modern methods of first aid treatment, in all cases of accident and emergency.” In April 1905, Clara Barton established the National First Aid Association of America and served as its honorary president for five years. The organization emphasized basic first aid instruction, emergency preparedness, and the development of first aid kits. Ambulance brigades were formed in conjunction with police and fire departments, as well as in industrial settings. Activity #1 - Describe the Johnstown Flood and the devastation it caused. Distribute individual Johnstown Flood Resident Statements. Students analyze and read assigned statements aloud. In groups, students discuss the events, causes and impacts and draw contemporary parallels. They present their findings. Students analyze photographs of American Red Cross relief shelters built during the recovery effort. Activity#2 - Discuss the needs people have after a disaster. Student groups discuss pros and cons of an emergency kit. They compare and contrast the historic emergency kit with that found today. Assign students to bring in an item from home that could be part of an emergency kit. Students write captions for each object, and group similar items. Go to www.ready.gov for information about emergency kits. Activity #1. Provide an overview of technology of Ms. Barton’s Victorian era, compare and contrast with today. Distribute Compare and Contrast the Technology: Past and Present to each student for individual completion. Student hand his/her paper to another student and correct the answers in groups or as a class. Activity 2. In teams of two, assign each team one historic item listed in activity 1. As homework, Student 1 researches how the historic item operated and prepares a description of how the technology works. Student 2 develops a comparison of this to its modern counterpart(s) [identified in Activity 1] and prepares an explanation of how the modern technology works. Students 1 and 2 co-present their research, findings and illustrations to the class. Students write articles, captions and compare/contrast sheets and oral presentations. Write and perform a skit on how to prepare for an emergency preparedness during school. Organize and host a school-wide fundraiser for charity. Consider an auction, carwash, bake sale, talent show as ways to raise money. You'll need a letter from the charitable organization of choice. Be sure to get a tax-deductible form to recognize donors for financial and in-kind gifts such as prizes. A well-run fundraiser is an opportunity to financially support a good cause, raise public awareness, and develop young people’s leadership skills and a sense of community. Explore the virtual museum exhibit and house tour at www.nps.gov/museum and www.nps.gov/clba and complete the volunteer activity on Clara Barton. Students can complete the “How to Read an Object Chart” on specific collection objects to further understand Clara Barton’s story. Visit the park site at www.nps.gov/clba for details Students receive a Junior Ranger booklet and must complete five activities to receive a Junior Ranger badge and a certificate of completion. Students complete the Interactive Experience Virtual Tour at www.nps.gov/clba. A certificate of completion can be printed after completion.